Here are a few things that are going on around the river region this weekend. 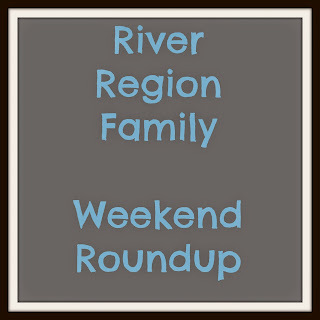 If you know of anything to add, leave a comment here or on the River Region Family Facebook page. Open to all ages. Parental supervision required at all times. Those who complete the activity are eligible to collect one medal per person, per battle in store during the specified timeframe. Hoth Battle: redeem on 11/6/15 & 11/7/15. Endor Battle: redeem on 11/20/15 & 11/21/15. Yavin Battle: redeem on 12/4/15 & 12/5/15. Tatooine Battle: redeem at final medal ceremony on 12/26/15. Available only while supplies last. Quantities limited. No rain checks. Show is free and open to the public. $5 for parking. Santa will parade through Blount Cultural Park and light a beatiful 40-foot Leland Cypress Christmas tree on display in front of the theatre. Bring the whole family out for this fun event and enjoy pictures with Santa, festive carols from the Montgomery Chorale, free carriage rides throughout beautiful Blount Cultural Park, free hot chocolate and Krispy Kreme donuts, and cast members of ASF's a Christmas Carol. For more information, call 334.271.5354. Relax with “Jazz Jams”, decorate a flower pot and plant a wildflower seed in the studio, and view the unusual glass still lifes by Beth Lipman in the Museum galleries.